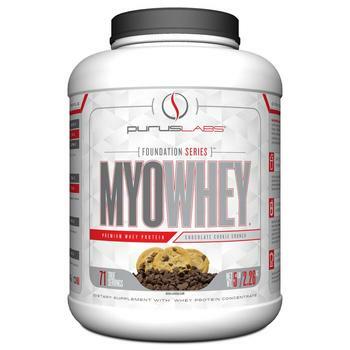 Purus Labs is recalling MyoWhey Chocolate Cookie Crunch. The product may contain milk and soy, allergens not declared on the label. The recalled product is sold in a white plastic container with a net weight of 5-lbs (2.26 kg.) with lot number PL: 0100518 and the expiration date 04/2020, which is printed on the bottom of the container. It was sold through online mail orders to Arkansas, Texas, Florida, Michigan, Virginia and Oklahoma, was available through retail stores in Texas, California, Oklahoma, Colorado and Missouri, and internationally in Chile and the UAE. Customers who purchased the recalled product and have an allergy or severe sensitivity to milk and soy should not consume it, but discard it. Consumers with questions may call Purus Labs at (214) 221-1813.